When you paddle along the shoreline of Westmoreland State Park, you can feel like you’re going back in time. Stunning sandstone cliffs rise 100 to 150 feet above the Potomac River’s quiet waters, and the beaches are strewn with shells, shark teeth, and other fossils from millions of years ago, when these cliffs were covered by a shallow sea. The cliffs are still constantly changing due to erosion from wind, rain, and ice. 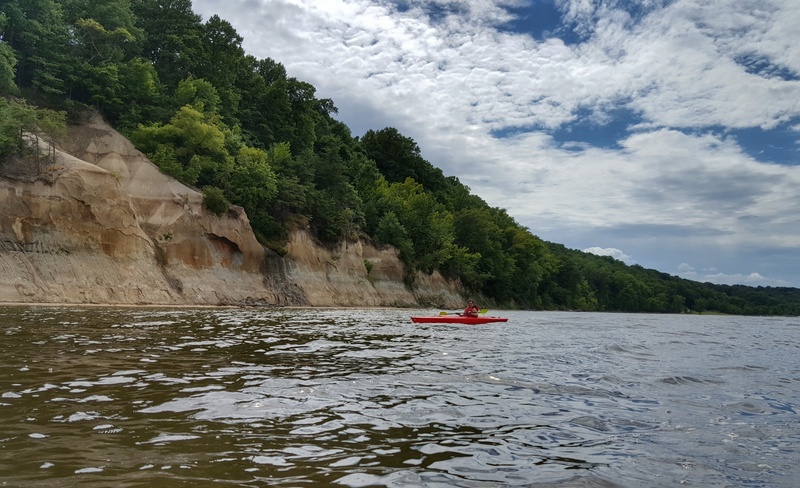 Although these open Potomac waters can be challenging for beginner paddlers to explore on their own, Westmoreland State Park offers a great option that allows everybody to get out on the water: affordable guided kayak trips throughout the week in summer for all levels to check out the park’s fossils and nature.